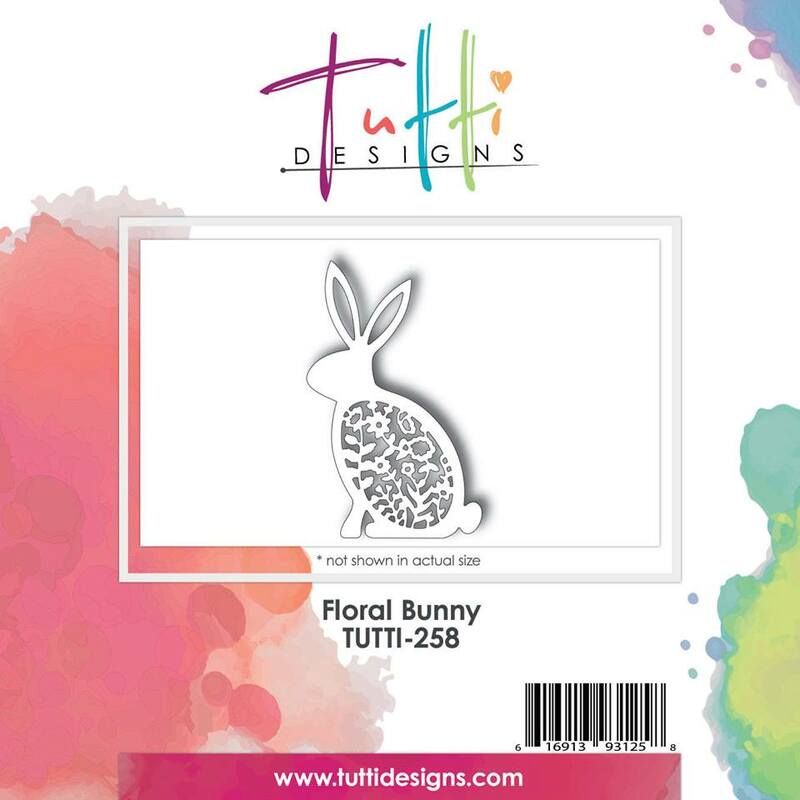 Tutti Designs: Pretty Floral Bunny. 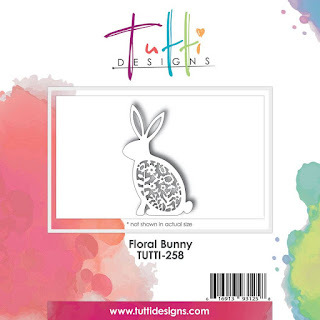 Today is Floral Bunny, TUTTI-258. 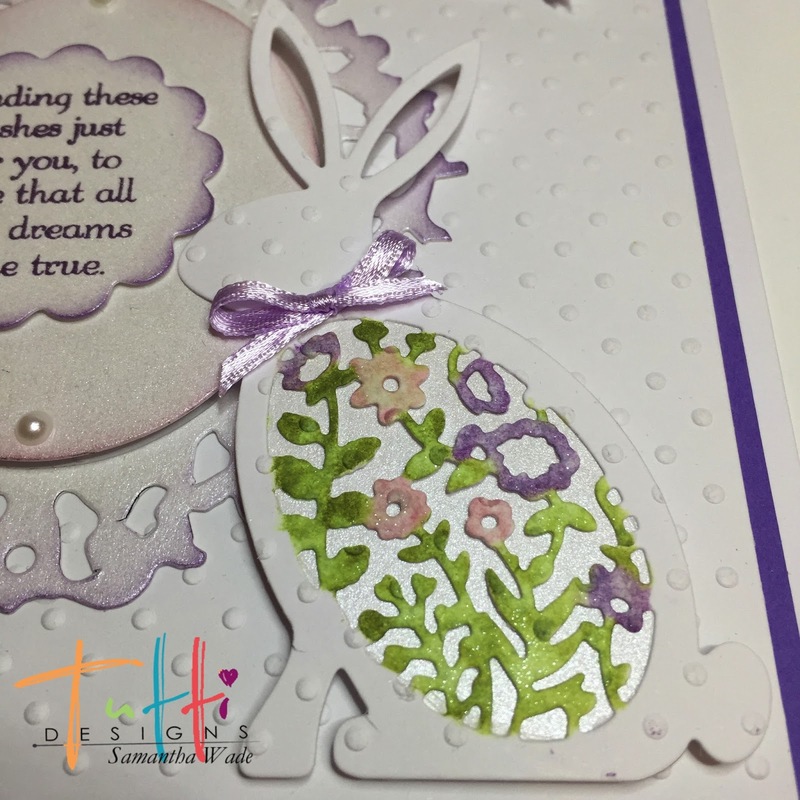 Die cut the bunny from white dotty card. Colour the leaves in the body, pink, purple and green and the rest leave white. 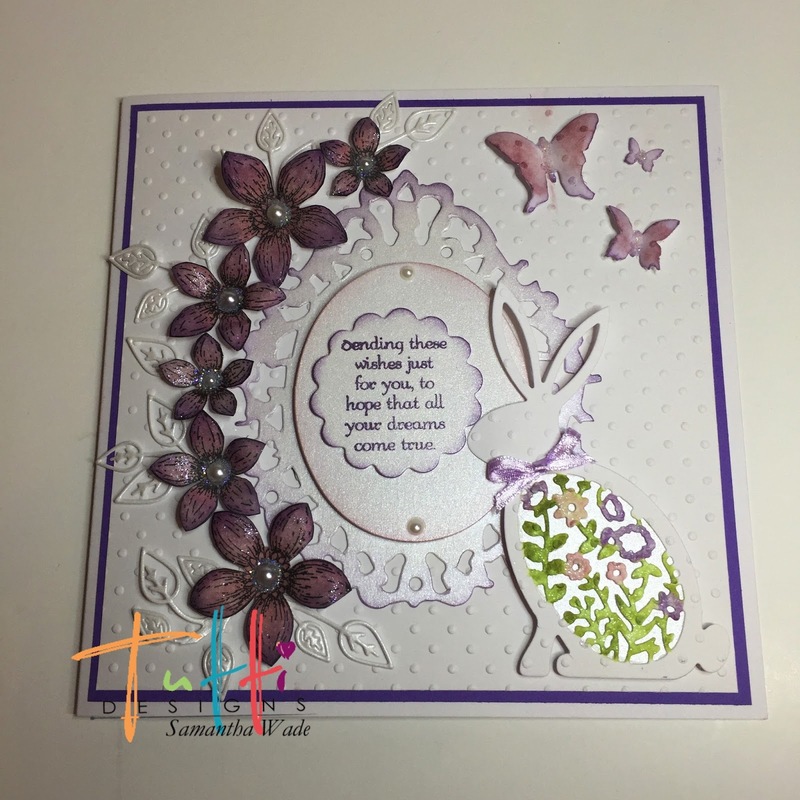 Draw around the body on pearl card, cut inside the line and glue behind the coloured area. 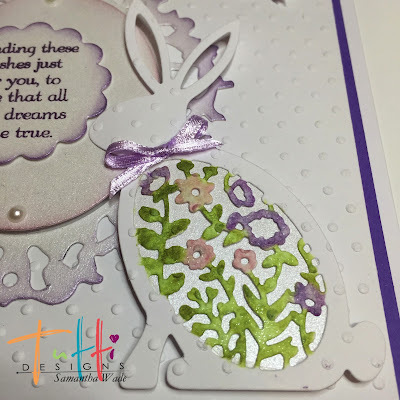 3D bunny onto your decorated card.